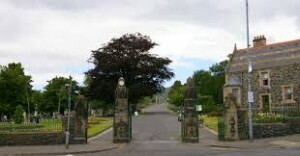 POLICE are appealing for information following the report of ‘flasher’ incident in Belfast City Cemetery on Sunday, 3rd August. Officers say that at around 4pm, a man exposed himself to two young girls in the area of the Cemetery. The mother of one of the girls was with them at the time. The man is described as being aged in his late teens or 20’s, shaved head and wearing blue coloured track bottoms, white coloured t-shirt and a grey coloured hooded top draped over his shoulders. Police would ask anyone who may have witnessed the incidents or who has any information to contact them at Woodbourne PSNI Station on the non-emergency number 101.